We might still call it the decade that taste forgot – but 1970s car colours are making a comeback. That’s according to the latest consumer research data, crunched by the car valuation experts CAP Automotive. CAP has identified a resurgence of interest among consumers in green, beige, gold, bronze, brown, yellow and even orange cars – all shades that have been shunned in the mainstream car market for decades. Every month CAP tracks the tastes of motorists by analysing valuations by consumers at cap.co.uk of used cars they are interested in buying. The data helps CAP to advise dealers on the best choices for used car stock – from brands, models and body styles to engine type and colour. There are rarely any real surprises at the top of the lists, with people typically favouring similar car models month after month. The colour charts are also generally dominated by the usual suspects of silver, black, blue, grey, red and white. But now four classic ‘70s colours – green, beige, yellow and gold have crept out of the lower ranks and made it into the top ten choices for the first time since CAP began charting consumer tastes. And just outside the top ten lurks that ultimate staple of ‘70s chic – brown – perhaps most famously sported on the Ford Consul GT, driven by DC Jack Regan in the classic British TV cop show ‘The Sweeney’. However, it may be America that we have to thank (or blame) for the creeping popularity of colours once deemed so undesirable by the UK motor trade that most of their nicknames for gold, beige and even flat red are unprintable today. Research has shown that in the USA car buyers associate brown with “stability and comfort, as well as the kind of authenticity that consumers – especially luxury consumers – seek”, leading to the Yahoo! website declaring brown as “the red hot color for new cars and trucks” in America two years ago. 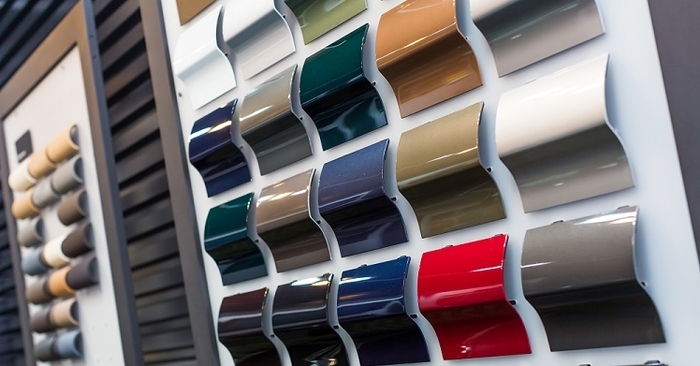 CAP suggests that the comeback of ‘70s colours among consumers valuing their next car purchase at cap.co.uk may simply be a natural extension of motorists’ desire to ‘personalise’ their driving experience. CAP’s retail and consumer specialist, Philip Nothard, says: “Just as new cars are increasingly configurable to the driver’s personal preference it makes sense that there is now a more diverse array of colours on the radar of today’s motorists. “You can’t underestimate the power of ‘retro chic’ either in the world of consumer taste – and what could be more retro than having an orange or a bronze car. “What is particularly interesting about these findings is that they truly reflect what people are interested in. Usually when we are asked what are the most popular colours we have to point out that it is the car manufacturers who generally determine colour popularity when they make their production planning decisions. People therefore tend to buy what they’re offered, because it’s a manufacturer-led rather than a consumer-led phenomenon. “In the case of visitors to our valuations website, they are actively searching for used car alternatives to the mainstream offerings they would normally find in the new market.